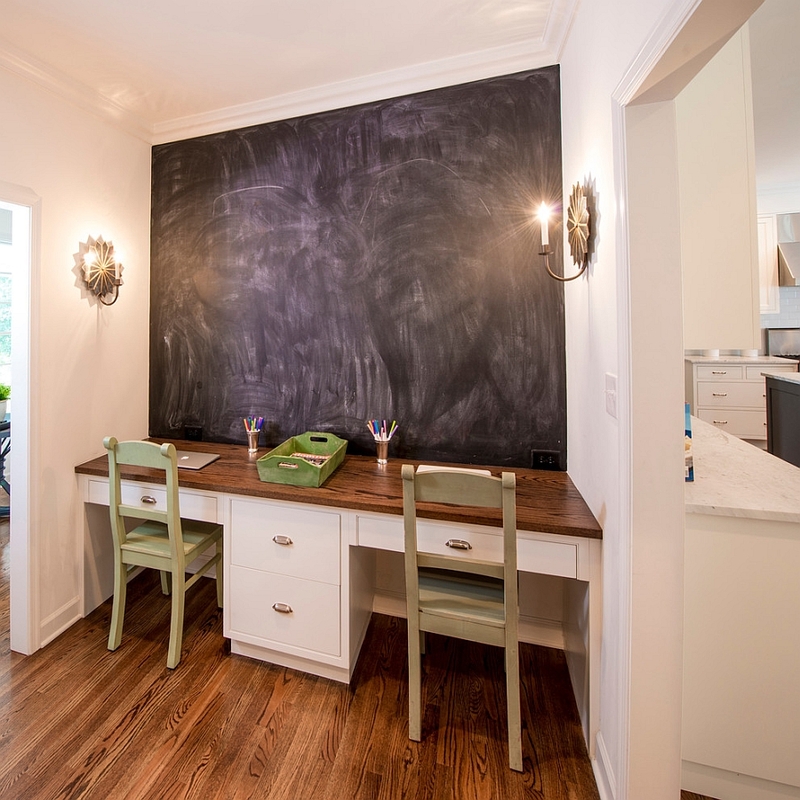 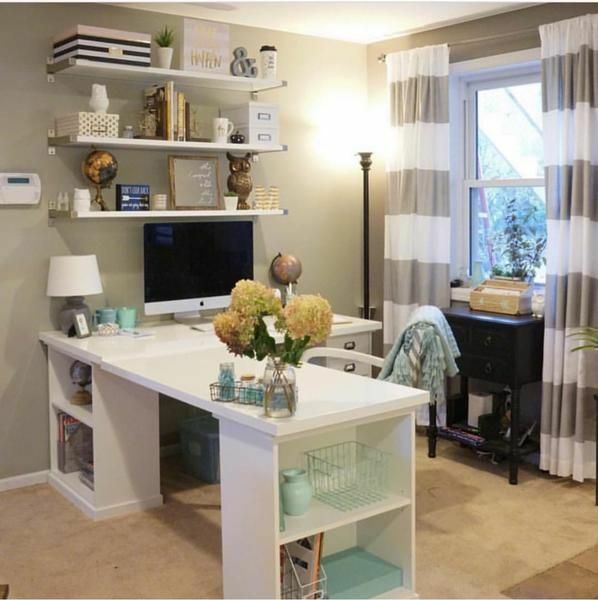 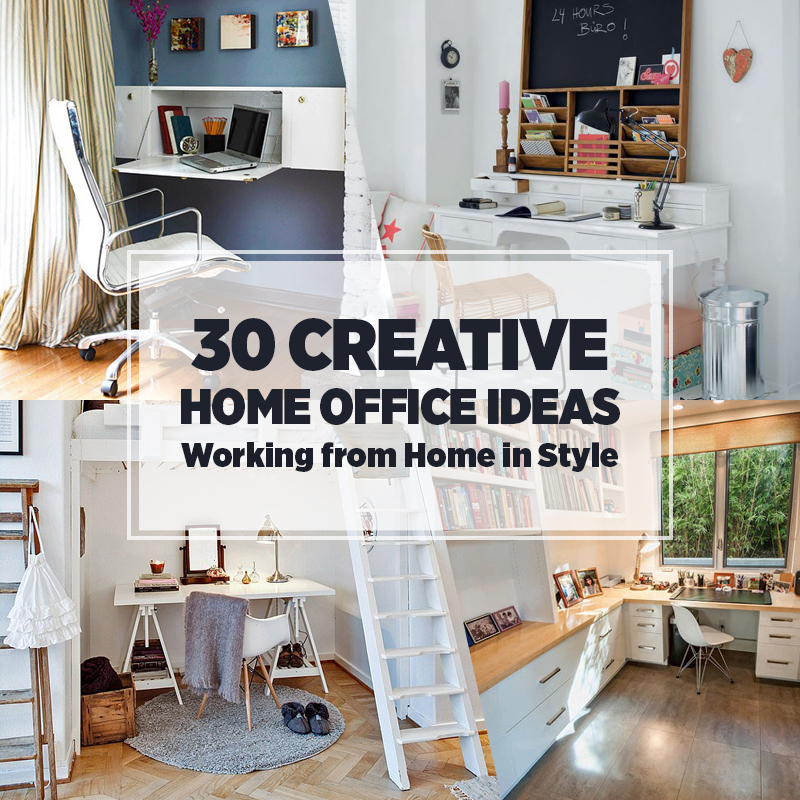 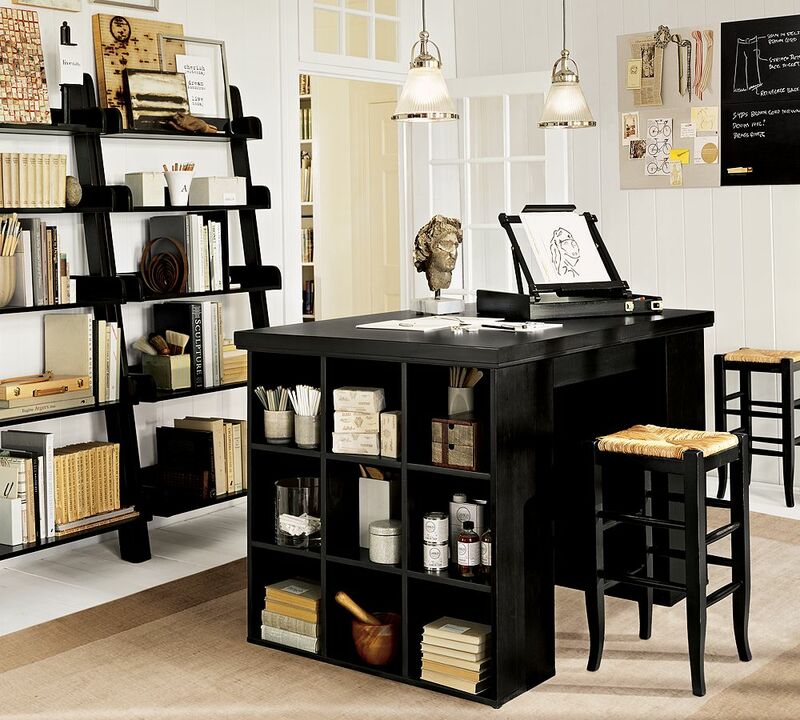 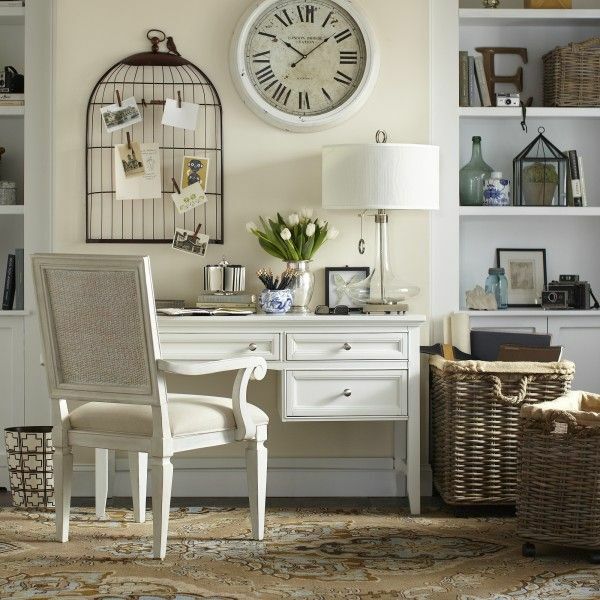 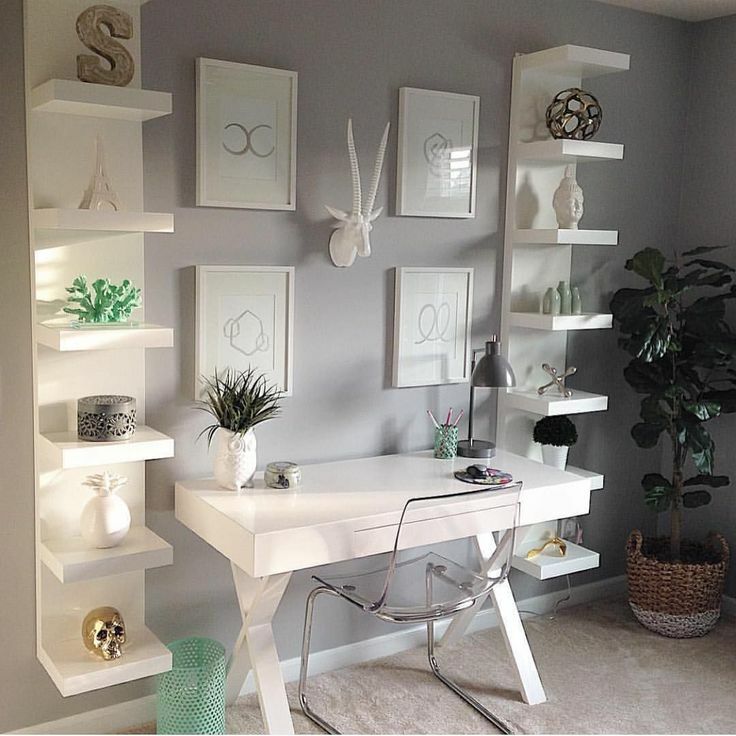 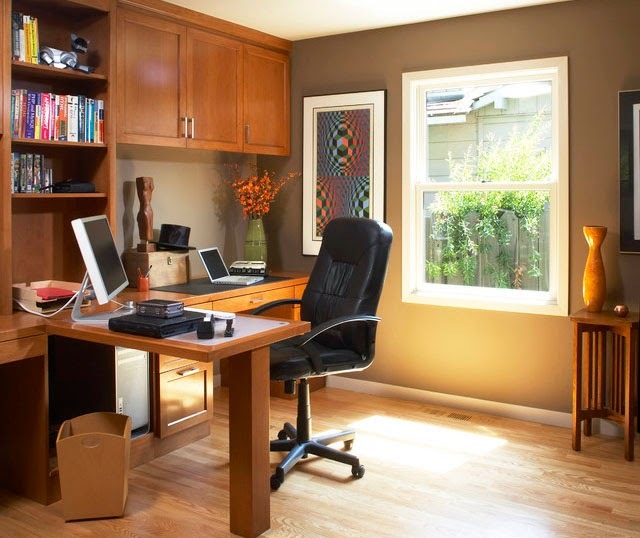 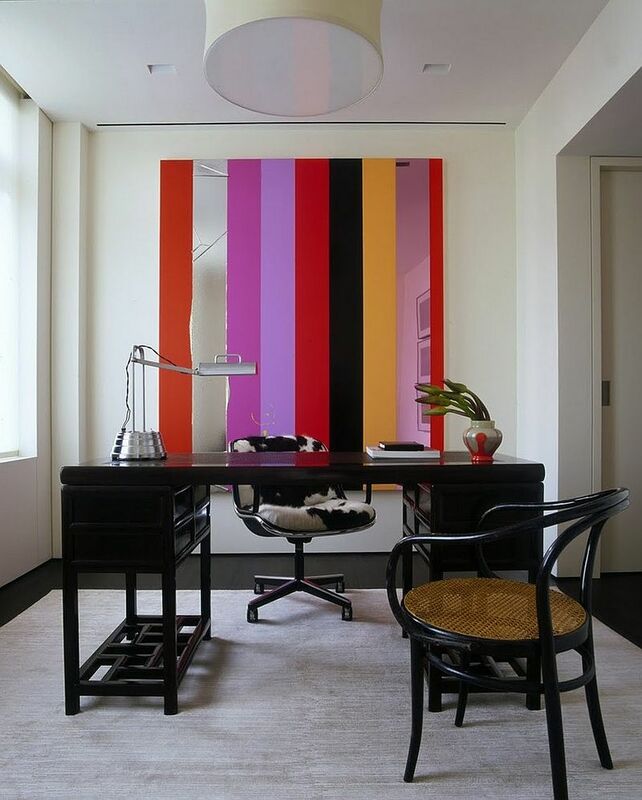 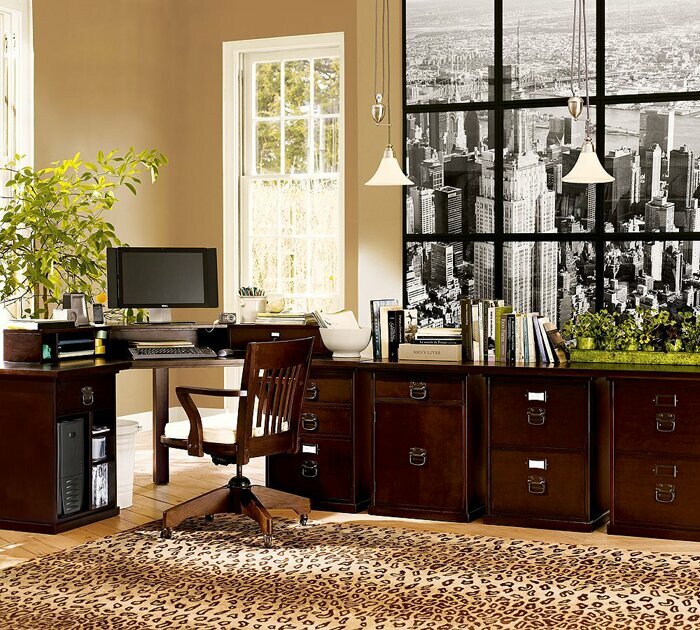 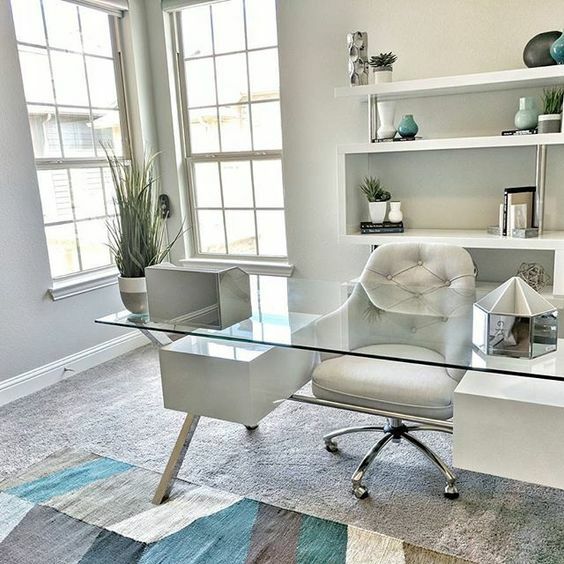 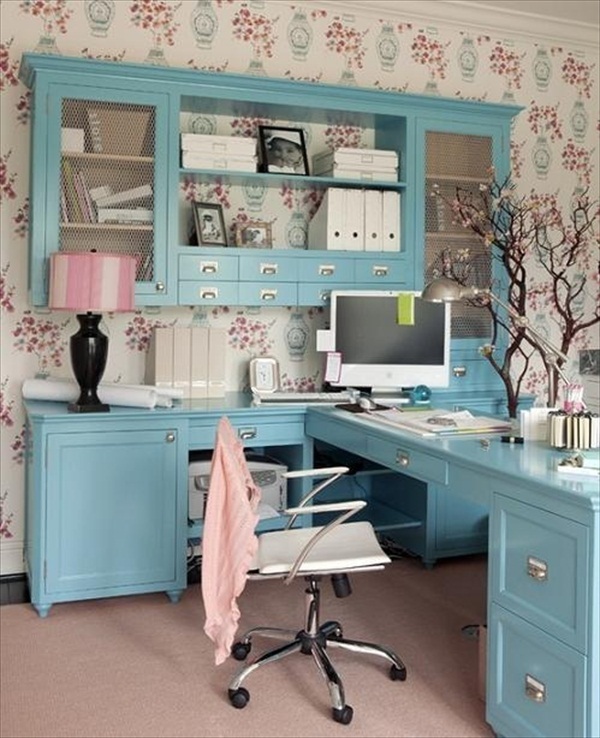 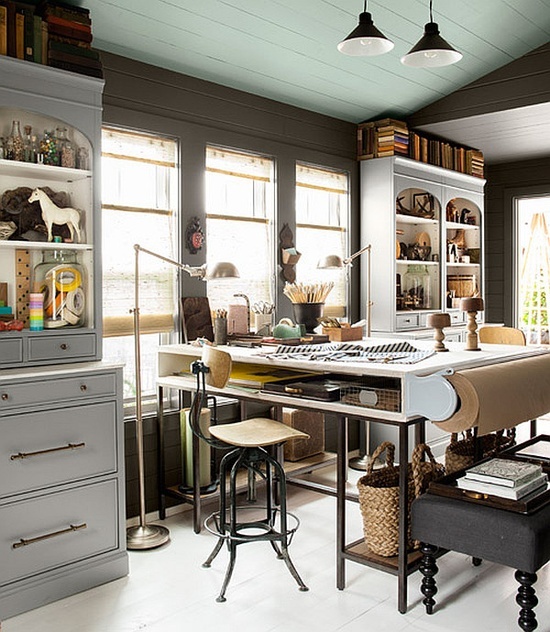 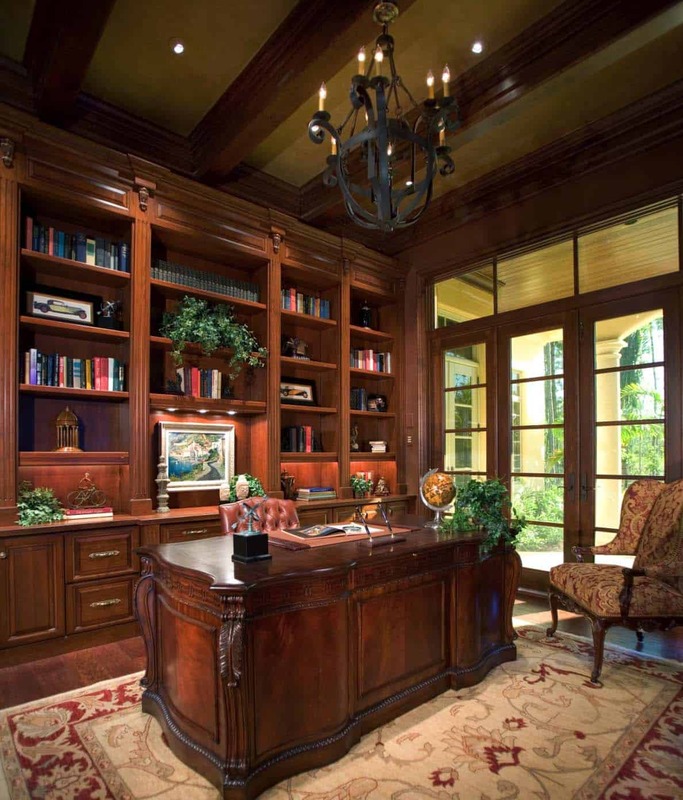 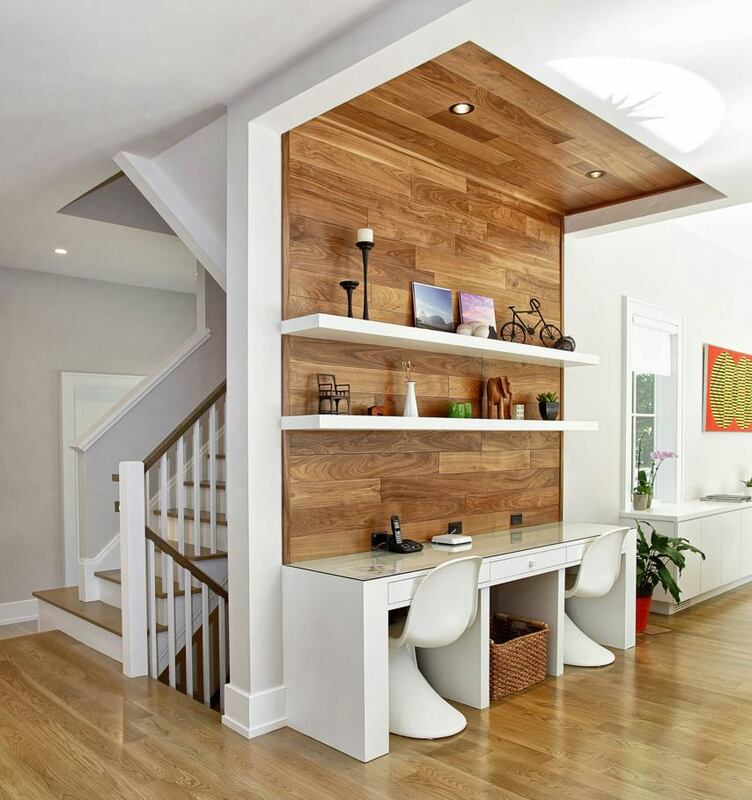 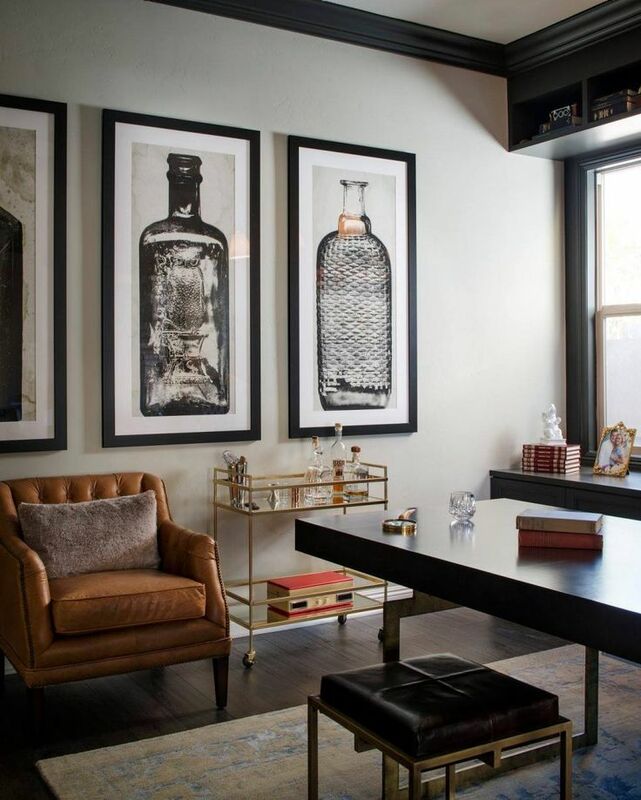 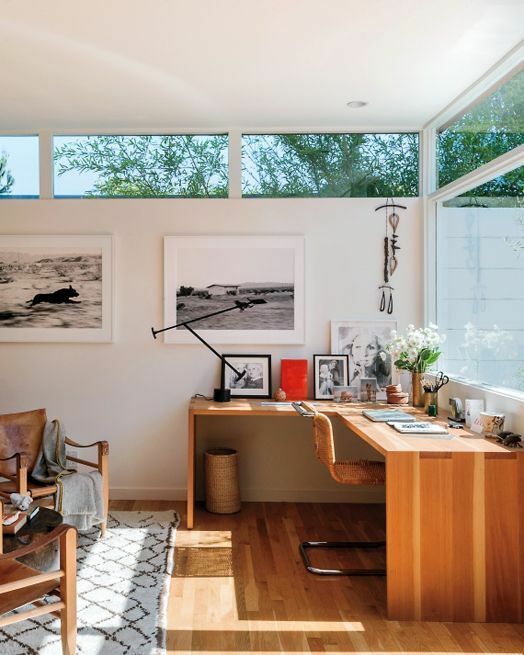 17 Surprising Home Office Ideas . 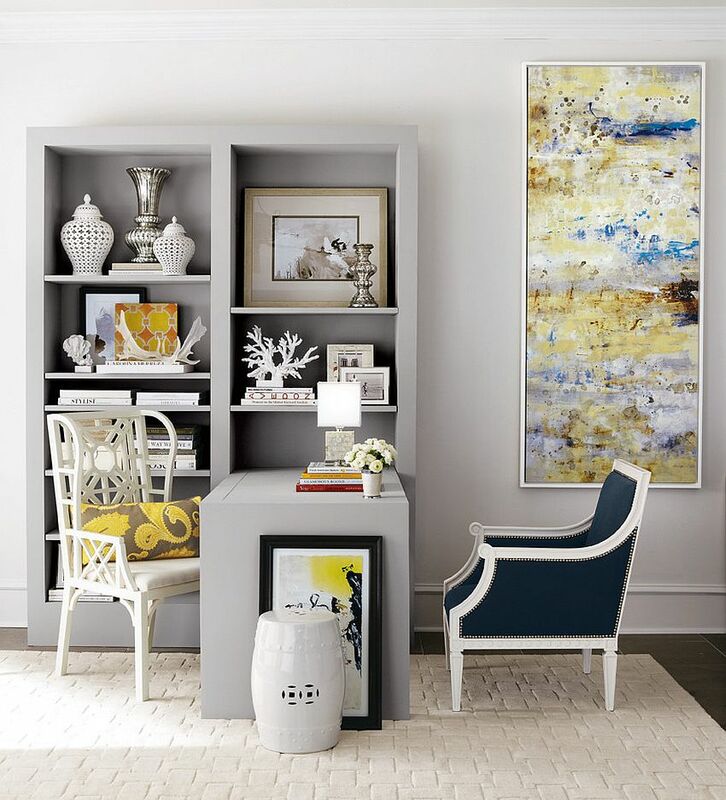 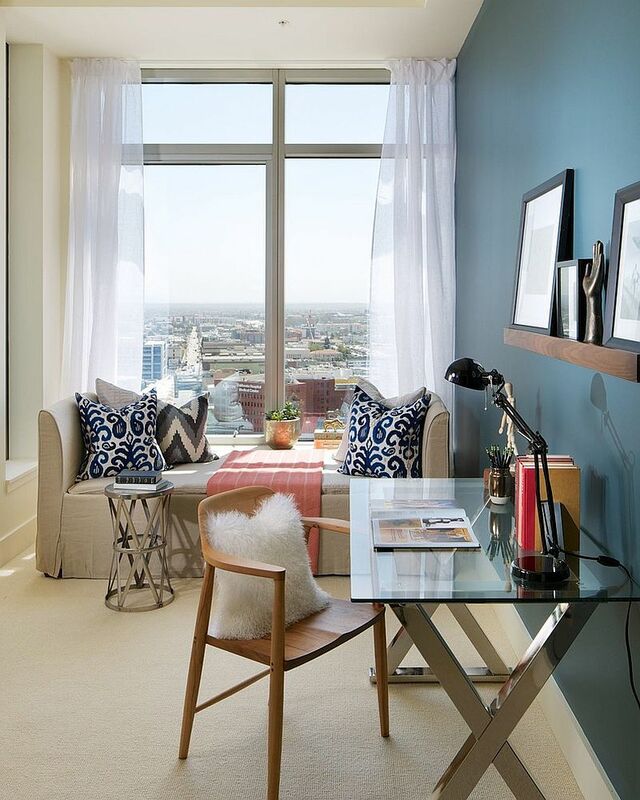 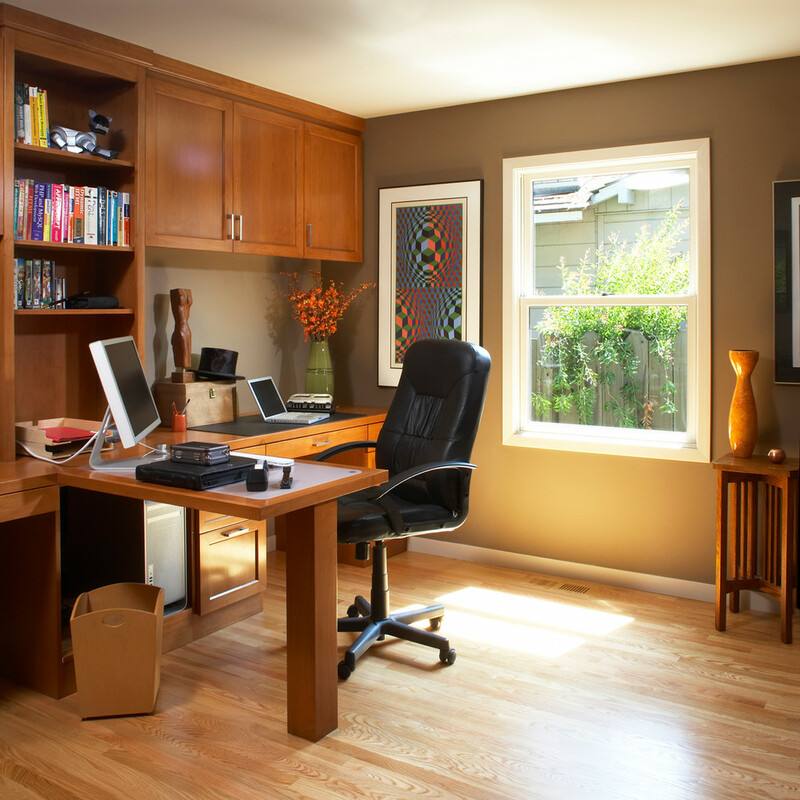 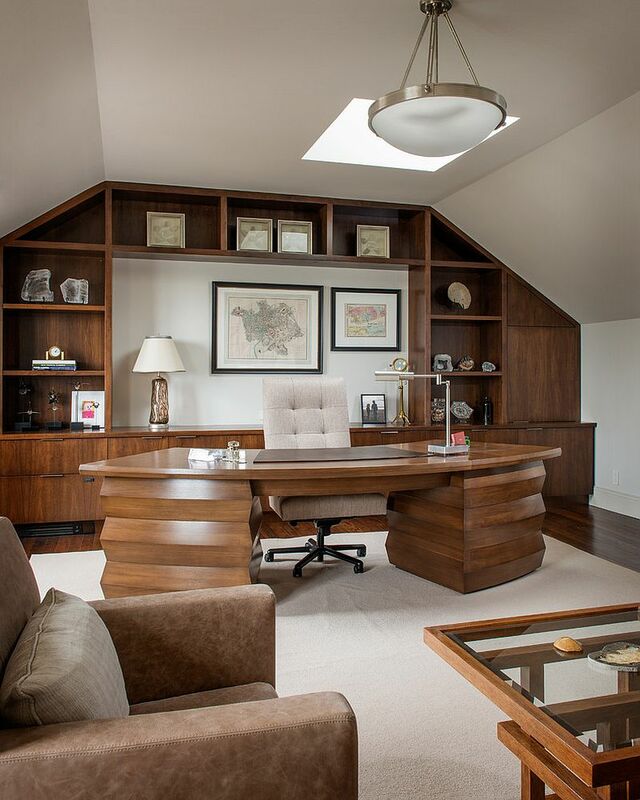 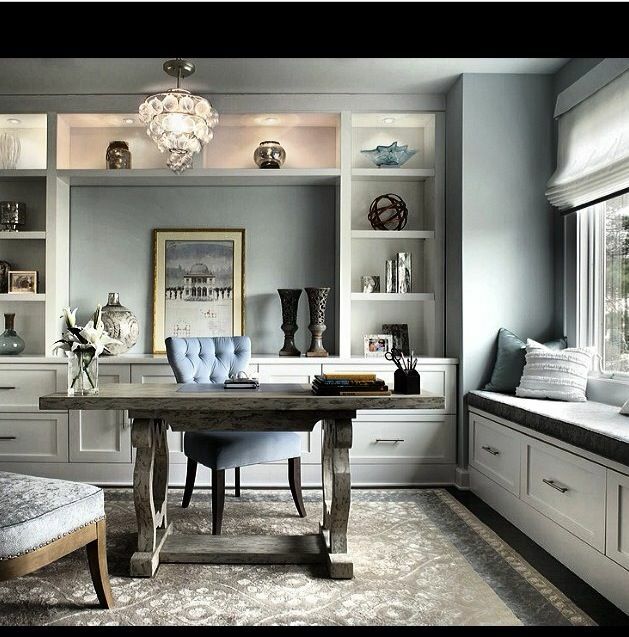 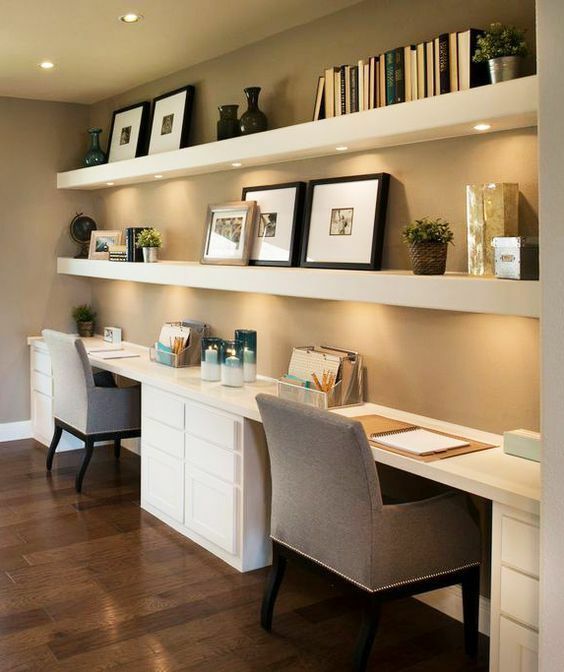 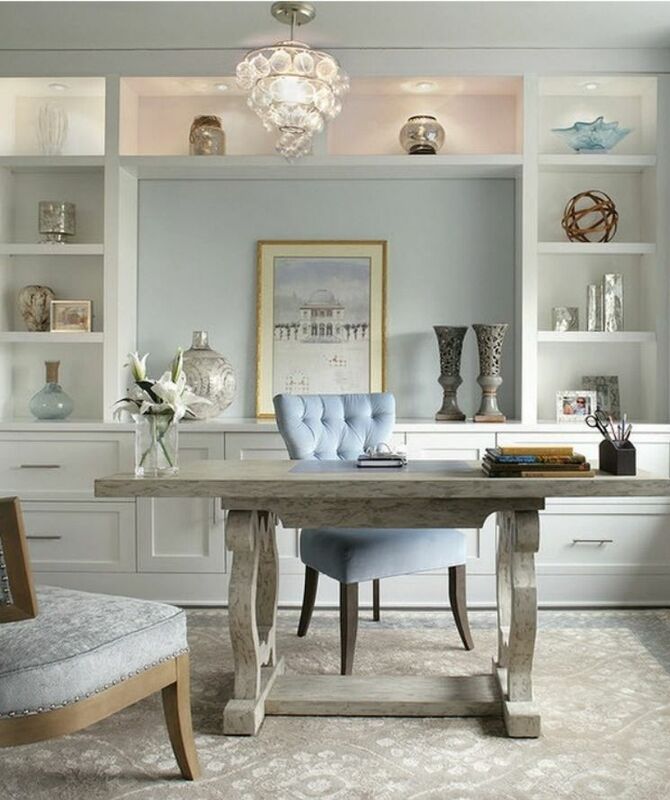 A few key pieces (desk, chair, floating shelves) can transform a quiet sleeping space into an efficient work area. 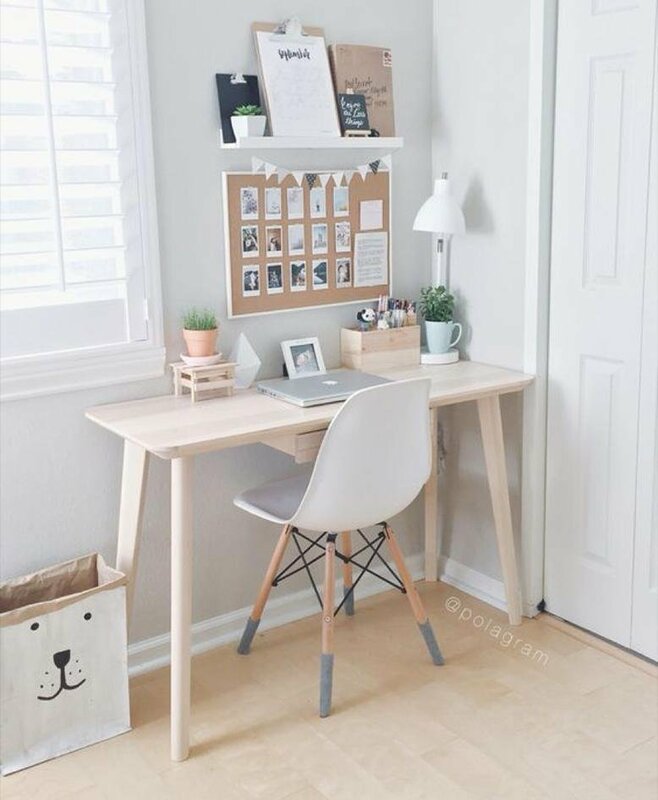 If space permits, try and keep the zones distinct from one another by setting the work area away from the bed.